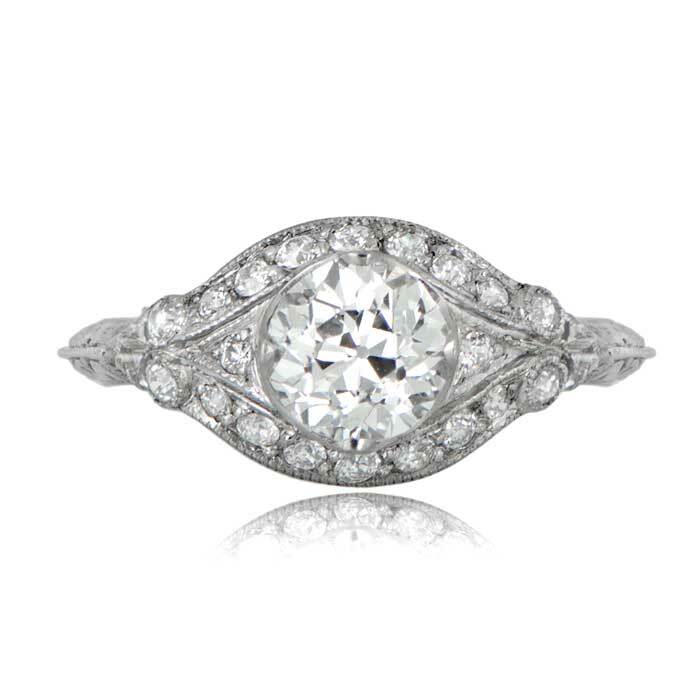 An Art Deco Era vintage engagement ring, adorned with fine milgrain and diamonds. 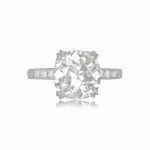 The center old European cut diamond is prong set between two diamonds and cushioned by two curved rows of diamonds. 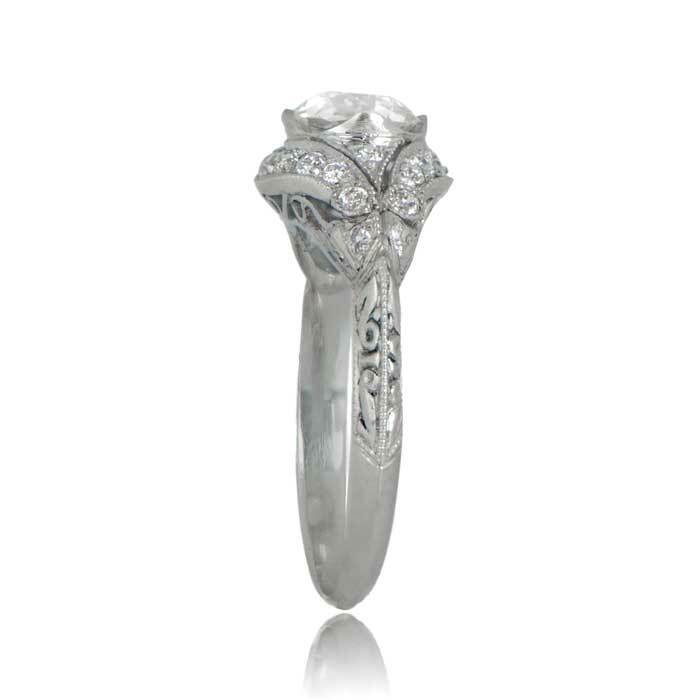 The scroll motif and the beautiful openwork filigree on the under-gallery adds to the delicacy of the ring. The design was inspired by the Italian city of Tuscany. 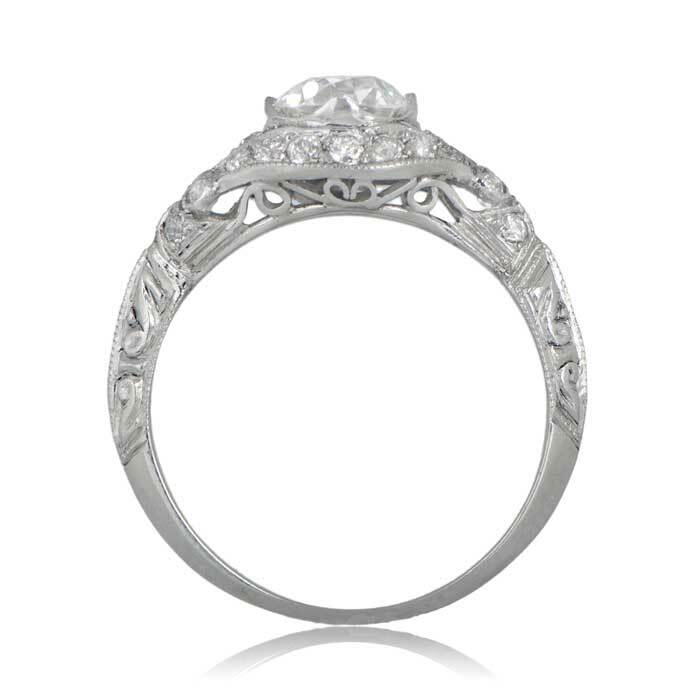 The center diamond is approx 1.02ct, H color and VS1 clarity, and was cut circa 1920. 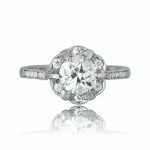 SKU: SPK102 Categories: Old European Engagement Rings, Vintage Engagement Rings - Contact us and request additional pictures.